JFR論文 Ian D. Thompson Canadian Forest Service An overview of the science-policy interface among climate change, biodiversity, and terrestrial land use for production landscapes. 奨励 森口 喜成 新潟大学 The construction of a high-density linkage map for identifying SNP markers that are tightly linked to a nuclear-recessive major gene for male sterility in Cryptomeria japonica D. Don. 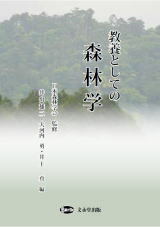 JFR論文 Kensuke Onoderaら 北海道立総合研究機構 Occurrence probabilities of tree cavities classified by entrance width and internal dimensions in hardwood forests in Hokkaido, Japan. JFR論文 Hiroto Enariら 宇都宮大学 Assessing the diversity of dung beetle assemblages utilizing Japanese monkey feces in cool-temperate forests. JFR論文 Masatake G. Arakiら 森林総合研究所 Estimation of whole-stem respiration, incorporating vertical and seasonal variations in stem CO2 efflux rate, of Chamaecyparis obtusa trees. Journal of Forest Research 15(2): 115-122. JFR論文 Tomohiro Nishizonoら 森林総合研究所 Effects of Thinning and site productivity on culmination of stand growth: results from long-term monitoring experiments in Japanese cedar (Cryptomeria japonica D. Don) forests in northeastern Japan. Journal of Forest Research 13(5): 264-274. 奨励 小松 光 九州大学 Do coniferous forests evaporate more water than broad-leaved forests in Japan? (2004) 林学 鎌田 直人 金沢大学 Population dynamics of the beech caterpillar, Syntypistis punctatella, and biotic and abiotic factors. 功績 渡辺 宏 グリーンサーベイ渡辺技術士事務所 リモートセンシングによる熱帯林管理国際協力事業への貢献?東南アジア8カ国の熱帯林管理情報システムの構築? 奨励 浅野 友子 京都大学 森林の成立に伴う流域内酸中和機構の変化?植生と土層厚が酸中和機構に与える影響?